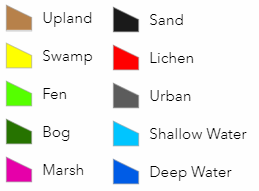 Identify and classify land and water types and boundaries. Whether you are tracking urban growth or compiling a wetlands inventory for environmental or development purposes, our leading-edge algorithms can classify with 90% accuracy the part of the planet you wish to map. Our service supports a diverse set of classifications. 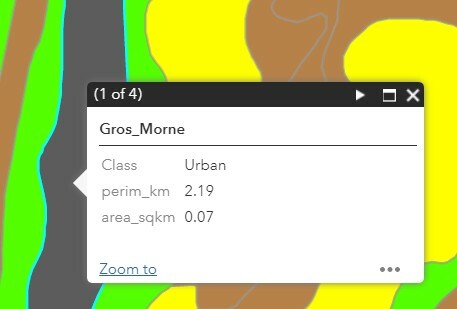 View our demo to see if this service covers your land or water classification requirements. LOOKNorth Services uses market-leading machine-learning-based classification. The overall classification accuracies of wetland and non-wetland classes ranged from 86% to 96% across all pilot sites, confirming the robustness of the methodology regardless of the biological, ecological and geographical differences among the study areas. Our spatial database can be intelligently queried to give planners and environmental assessors quantitative data that can be used to track changes in land classification historically. If you demand even higher accuracy, we are experienced in ascertaining classification through field data collection and in using field data to calibrate and enhance our machine learning algorithms for your specific area of interest.